Join Puget Soundkeeper Alliance for the 2016 Sweep, their biggest cleanup of the year! 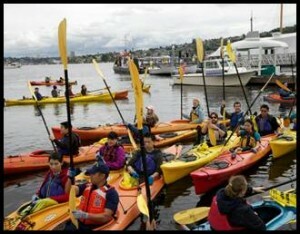 Over 250 volunteers take to the water in kayaks, row boats, canoes and motorized craft to remove 2-3 tons of trash from Lake Union, Portage Bay and Union Bay. Other activities include walking along public shoreline areas to pick up debris and helping the Eastlake Community Council to restore shoreline habitat. All volunteers are treated to an event t-shirt and picnic lunch! Puget Soundkeeper Alliance is revamping the Sweep to be bigger and better than ever! They are breaking the event into three separate cleanups. One day for the Salmon Bay/Ship Canal area, one day for Lake Union, and one day for Portage Bay/Union Bay area. Borrow a kayak, canoe, or row boat: Our partners at the Northwest Outdoor Center, the Center for Wooden Boats, Moss Bay, Agua Verde Paddle Club, and the UW Waterfront Activities Center have generously provided boats free of charge to volunteers to clean up the lake. You will be assigned to one of these locations where you will meet in the morning, receive your t-shirt and remove debris from a designated area. BYOB (Bring Your Own Boat): We invite you to bring your own boat to join in the fun! A convenient launch point is located adjacent to Lake Union Park for hand-powered boats. On a Support Boat: Hitch a ride on a support boat and unload heavy trash bags from the kayakers, canoers, and rowers. Vessels range from sail boats to motor boats to electric boats. Shoreline walking cleanup: For those who prefer to stay on land, we will have a team sweeping the shoreline of Lake Union, picking up debris BEFORE it has a chance to hit the water! Eastlake habitat restoration: Our friends at the Eastlake Community Council have an ongoing habitat restoration project in the Eastlake neighborhood along the east bank of Lake Union. Help them continue to improve shoreline habitat in this area! Event logistics: It’s hard to feed, organize, and mobilize several hundred people. Help us behind the scenes by registering volunteers, setting up lunch, and passing out event t-shirts. Your support is greatly appreciated! Boat lead: Do you have kayaking or canoeing experience? Are you comfortable leading groups of people? We need you to act as a site lead at one of our various launch points, where you will deliver a safety briefing, help volunteers into boats, and hand out event t-shirts. 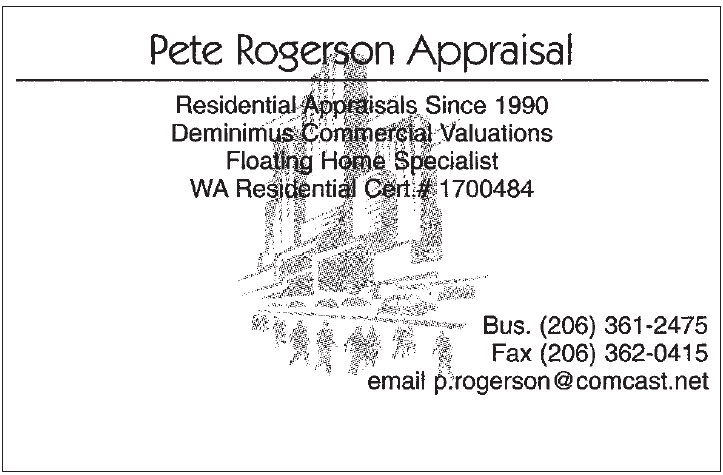 Contact Jimmy directly if you are interested. After the cleanup, all volunteers are invited back to Lake Union Park for a delicious lunch! The park is wheelchair accessible – please let us know if you need special accommodations.